Sai Industries establishes in the Year 2010. 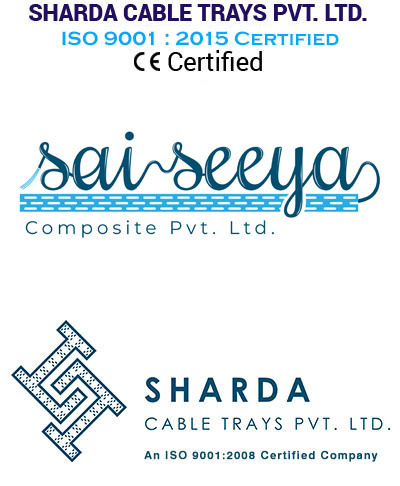 Sai Industries has a leading name over the year for manufacturing of Various type of Electrical wide range of electrical salutation such as cable tray, ladder type cable tray Perforated Cable tray etc. We manufacture a complete range of cable trays and industrial cable trays, which are innovative in design, easy to install and cost-effective in usage. As these trays come in powder coated finish, these are corrosion resistant and can be used in outdoor spaces. These trays are ideal to support large volume of network cables and also assist in providing smooth transition around obstacles. These trays can be easily attached to floor, ceiling, wall or top of racks and cabinets and can be made available in different widths, heights and length options. Cable trays are used as an alternative to open wiring or electrical conduit systems, and are commonly used for cable management in commercial and industrial construction. Straight sections are available to route cables in horizontal/vertical plane. Further, the fittings are made available to route cables in different directions in either horizontal or vertical planes.